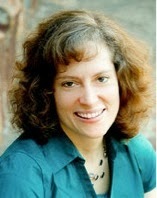 GeneaWebinars: Free UGA Webinar -- Cindy Lee Banks - Will Your Family Tree Stand the Test of Time? Most Won’t - Strengthen Your Tree! Free UGA Webinar -- Cindy Lee Banks - Will Your Family Tree Stand the Test of Time? Most Won’t - Strengthen Your Tree! Will Your Family Tree Stand the Test of Time? Most Won’t - Strengthen Your Tree! Create a Family Tree of importance, worth, and significance by attaching sources, documents, photos, and stories in order to strengthen your Tree for your family members now and future generations to come which will stand the test of time.